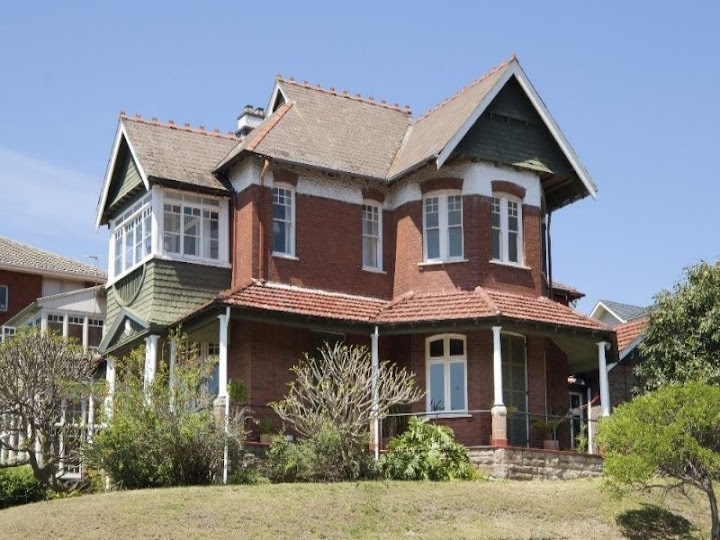 An historically significant Sydney residence, in a premier coastal position, this magnificent property was built in 1916 as a family home for Philip Wirth, founder of the famous Wirth’s Circus. Occupying one of the area’s largest land parcels (1693 sqm), this sprawling home is surrounded by immaculate level gardens, while its beach side position affords panoramic views of the ocean and coastline. 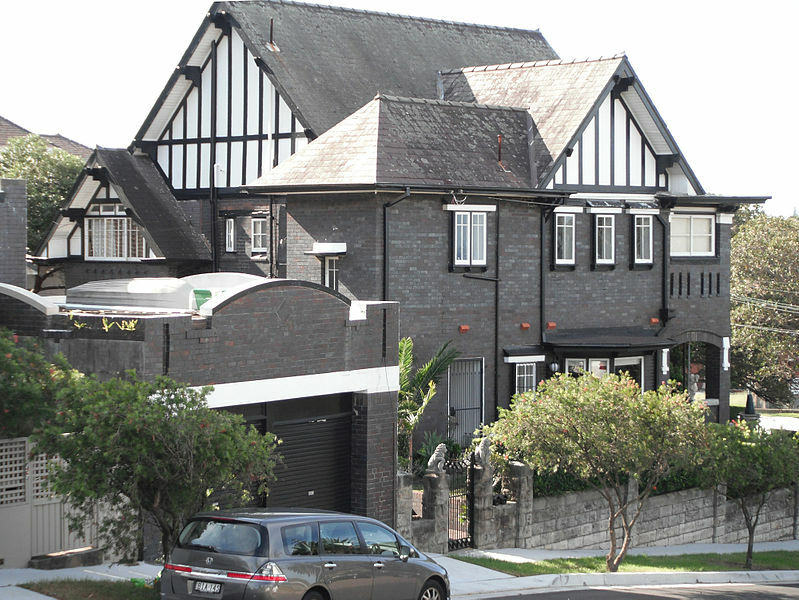 Sold price: $5,000,000 on Apr 2010. 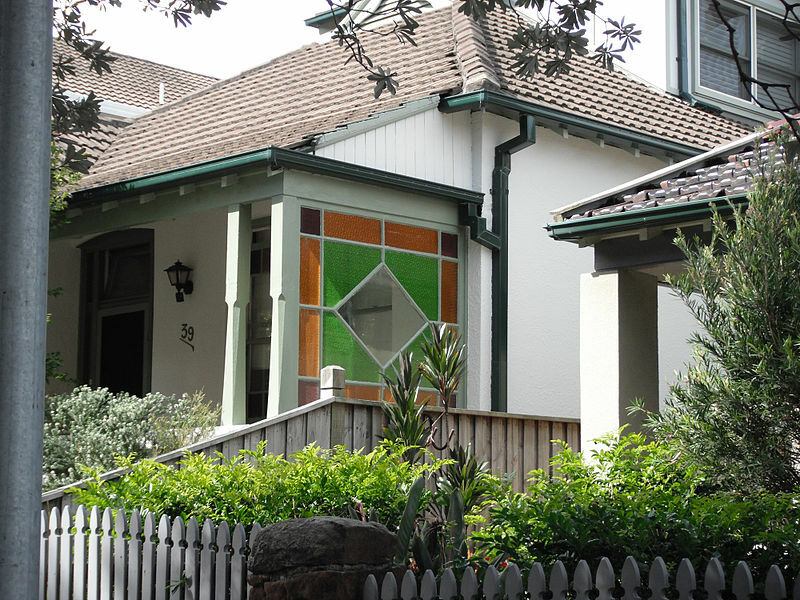 The house has beautiful Art Nouveau leadlight glass in many doors and windows, and decorative Art Nouveau timber screens. 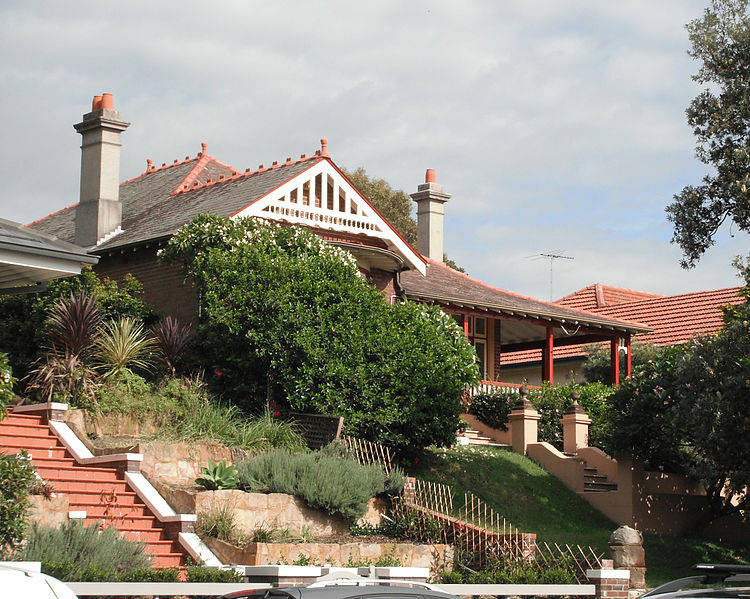 Two storey Edwardian Free Classical style house constructed in liver brick with sandstone quoins, lintels, sills and colonnades. Slate roof. 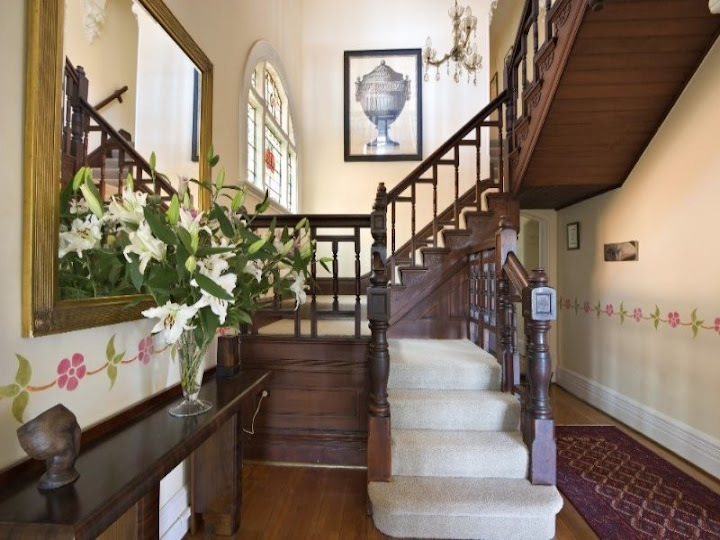 Internally there is a fine Georgian maple staircase, Art Deco patterned leaded windows, fine Victorian marble chimney pieces and Adam Revival plaster ceilings. A high stone wall fronts Beach and Battery Streets and handsome Italianate pillars frame the entrance to the drive. The well landscaped grounds are around one hectare. The garage is sandstone. Some alterations and additions but these do not detract. Surrounded by high stone wall. 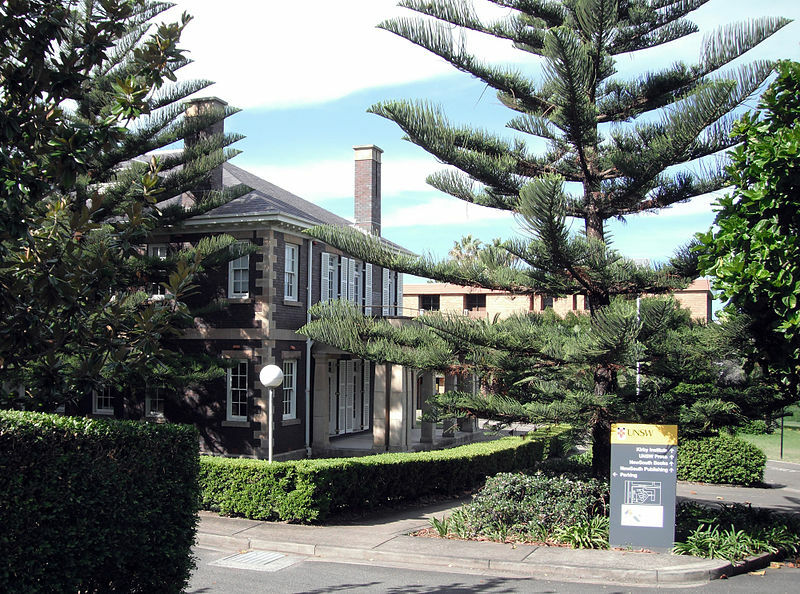 History: Built in 1921 by Sir Denison Miller, first Governor of the Commonwealth Bank. 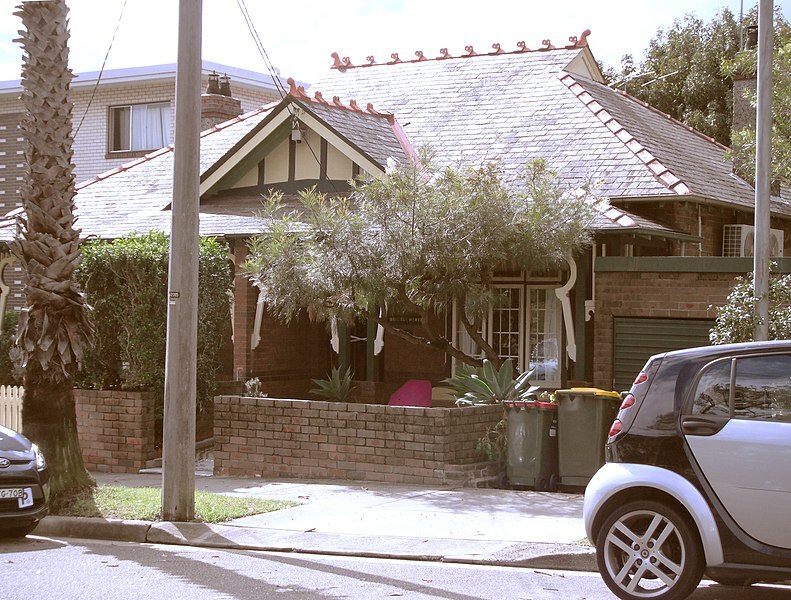 “Cliffbrook” is located on the site of the stables of the original “Cliffbrook”. This building stood in nearby Gordon Avenue until it was demolished in 1976. New “Cliffbrook” was designed by architect, John Kirkpatrick. 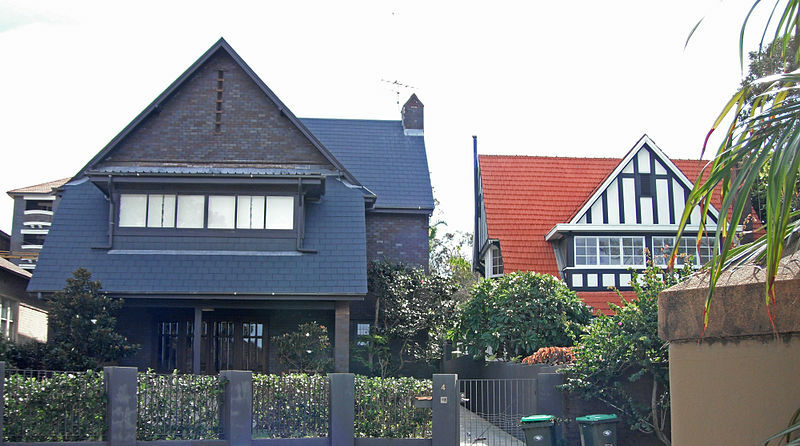 Two very good two storey Federation houses in Arts and Craft style built after 1915. 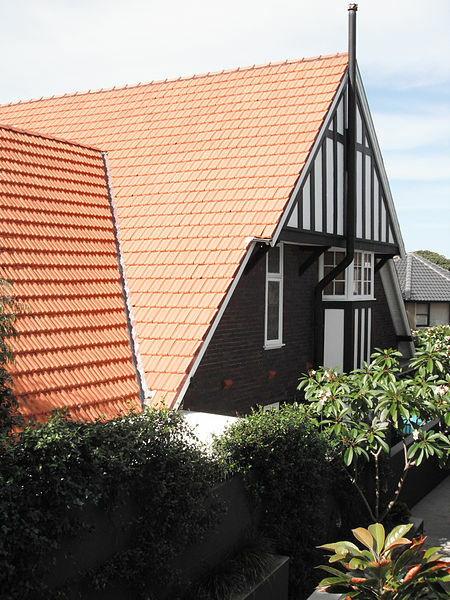 Steep pitched gabled roofs and steep pitched, front gable over attics. 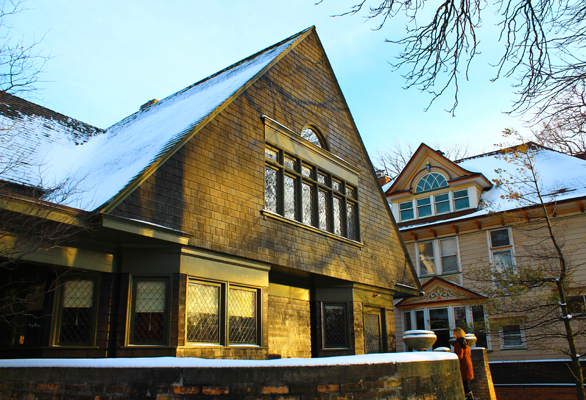 Shingled roofs reflects Arts and Crafts influence.2 Gordon Avenue has Tudor style timbering on front gable feature. Recessed centre porch. Bay windows at side. Sympathetic garage. Spoiled by high brick fence. Otherwise appears more or less original. 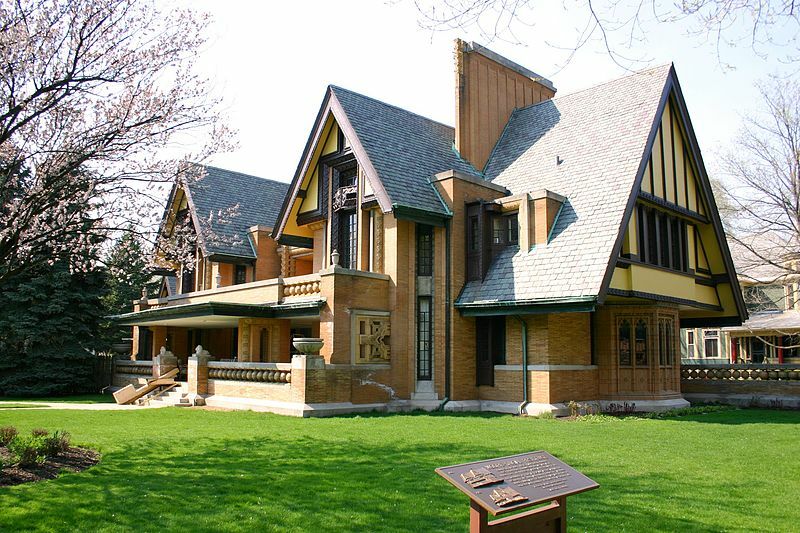 The Nathan G. Moore House is a house completed in 1895 and designed by Frank Lloyd Wrightin the Tudor Revival or Arts and Crafts style. 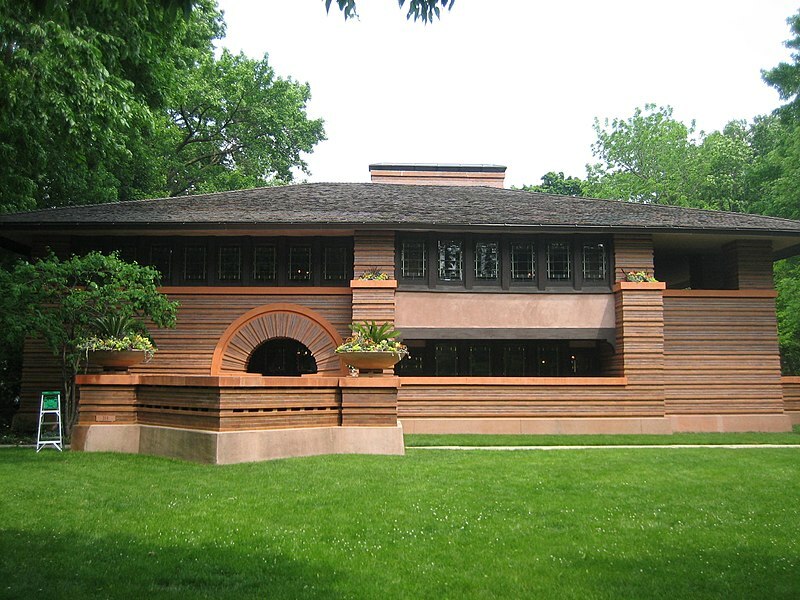 The house was built at 333 Forest Avenue in the Chicagosuburb of Oak Park, Illinois. 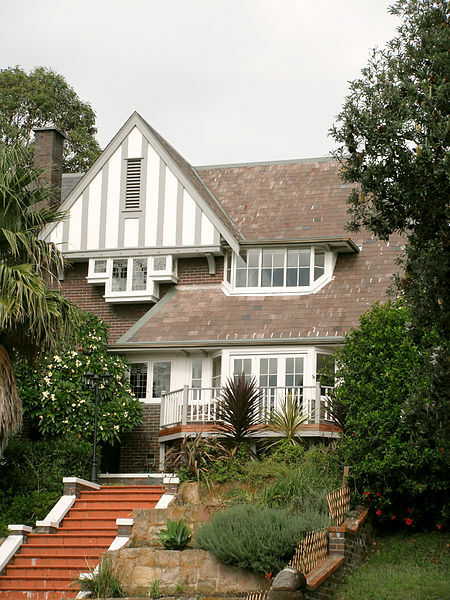 “Warrimoo” 1920’s Federation Arts and Crafts style with visible rafter ends under the eaves. Appeared in Sands Directory in late 1920’s. 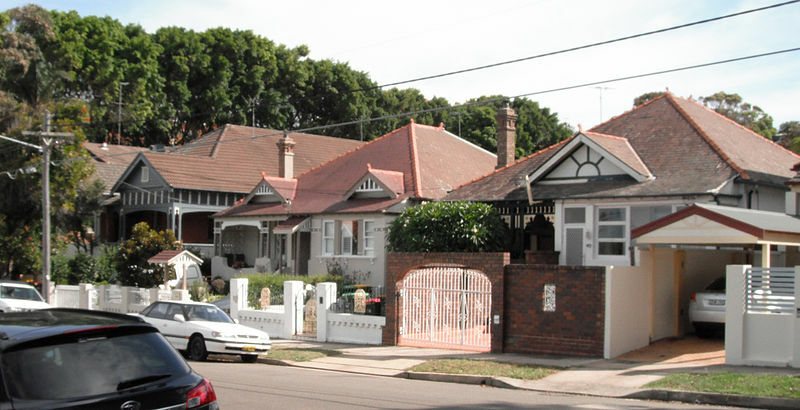 Steep main roof continues down over verandah in true Federation Bungalow style. Decoration generally restrained with considerable charm derived from simplicity. San Antonio”, 1920’s Federation Arts and Craft style. House inspiration includes wooden shingles, (an American influence) with wide prominent gables facing in 3 directions, one asymmetrical. The style overall is Edwardian. 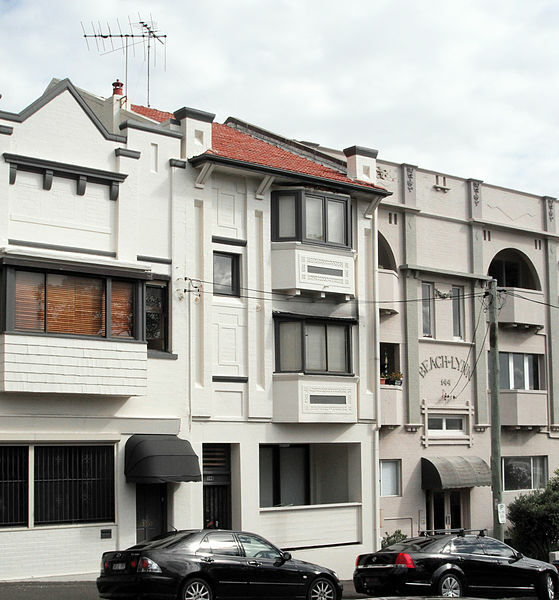 Only six apartments in a character-filled Art Deco block. 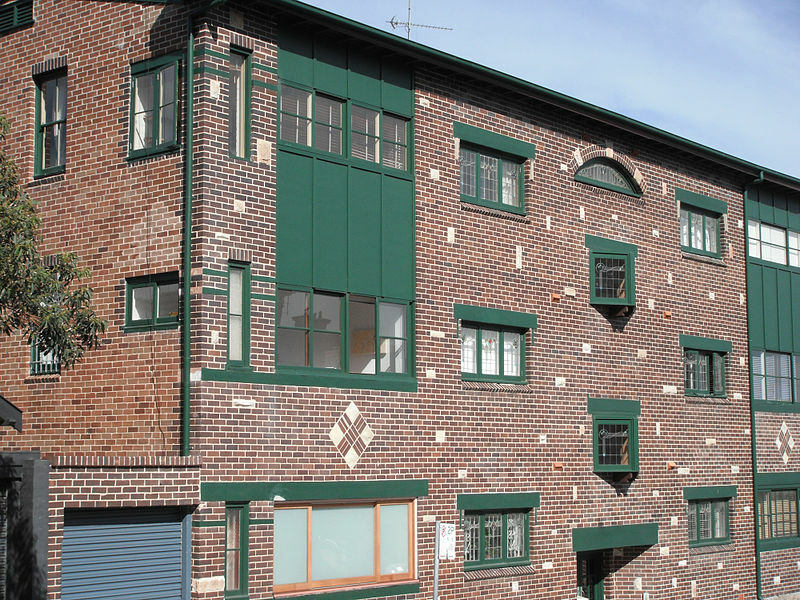 Real estate agents describe this 1920’s building as Art Deco, but it has Arts and Crafts influences, such as odd-sized windows facing north. 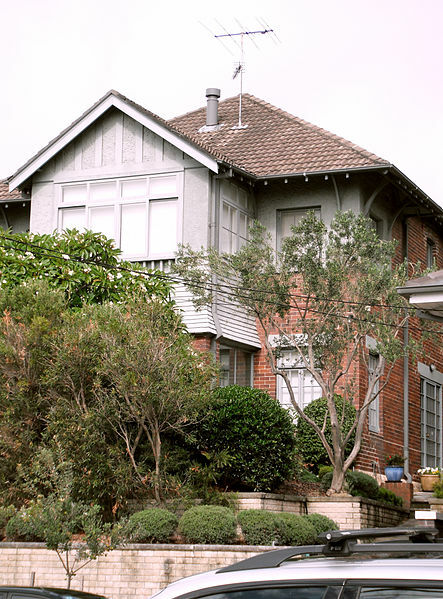 The narrow windows are typically Edwardian, the small window groups are Arts and Crafts style. 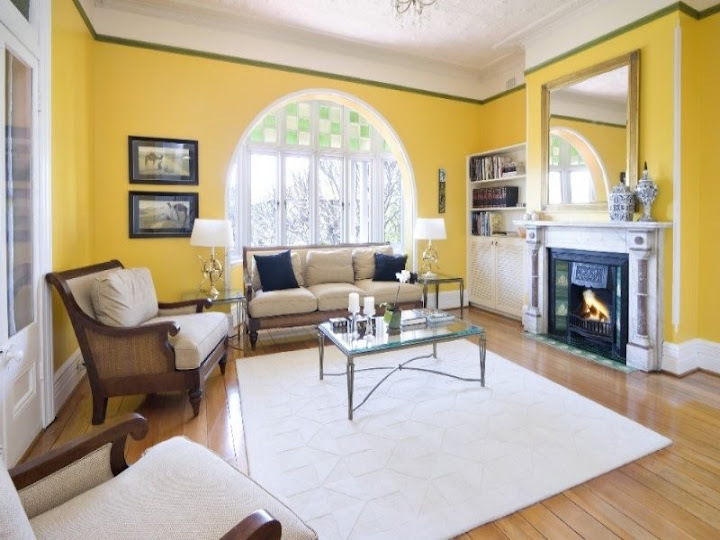 The arched window is likely located at the top of the stair well and is the most notable Art Deco window feature. Original interiors appear to have been totally lost. However the tuck-pointed exterior is charming. No 78 has large projecting semi-hexagonal front at centre. Small porches either side. Attractive shingled gable on projection with window hood below. Other limited decoration contributes to attractiveness. 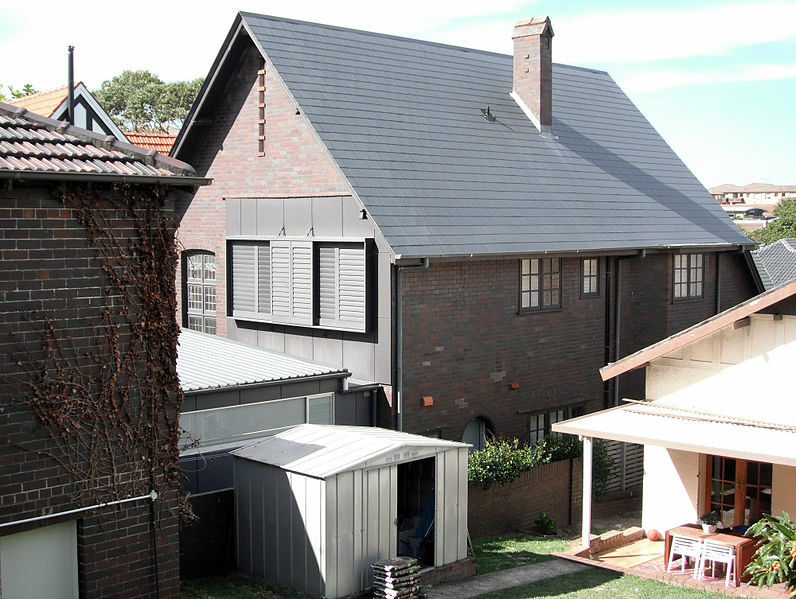 Includes use of darker coloured brick, coloured glass panes, original doors and windows. Little altered but needs maintenance. 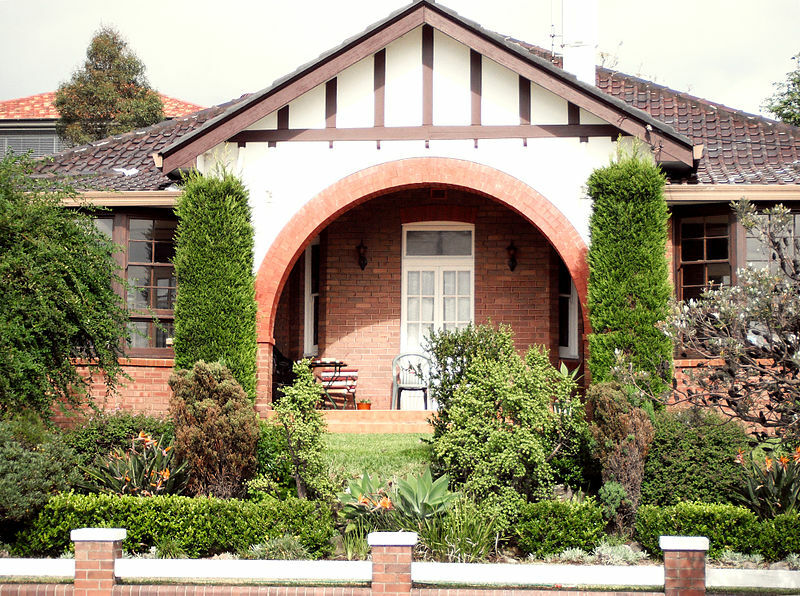 ‘Belle’ – Impressive Federation period house. 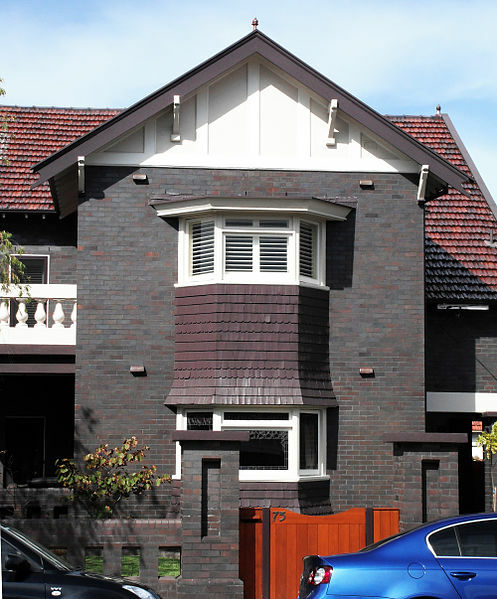 Slate roof, two colour brick (including dark tone quoin bricks to roof line), attractive roughcast. 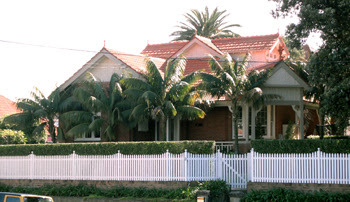 Flat timber work on verandah, extending on two sides with pairs of posts on brick base, small gables at right angles emphasise orientation. 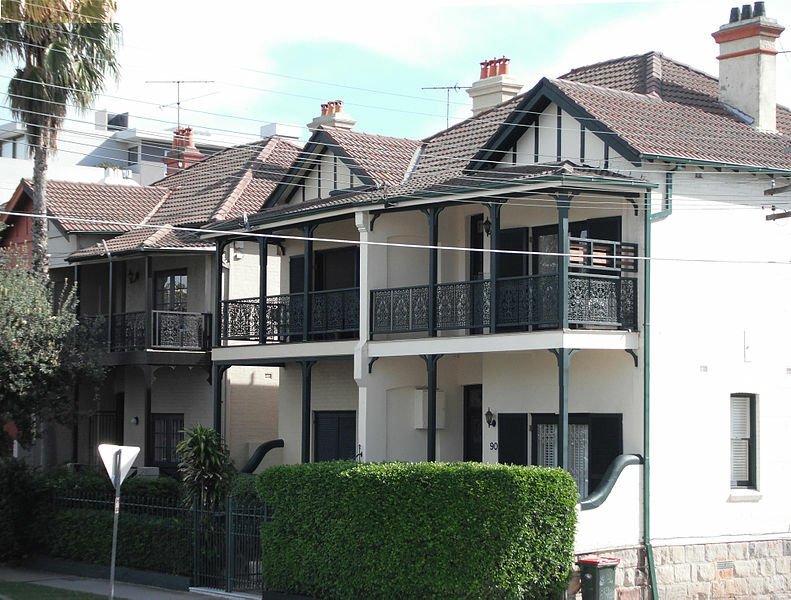 Group of two storey Edwardian style semis, c. 1915 Despite alterations basic form is retained which has resulted in an attractive streetscape. 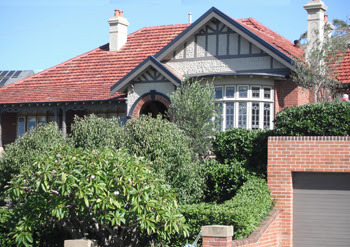 An example of a two storey Federation residence in Queen Anne style. The foundation stone was laid by Rt Rev William Saumarez-Smith on 7th December 1907. 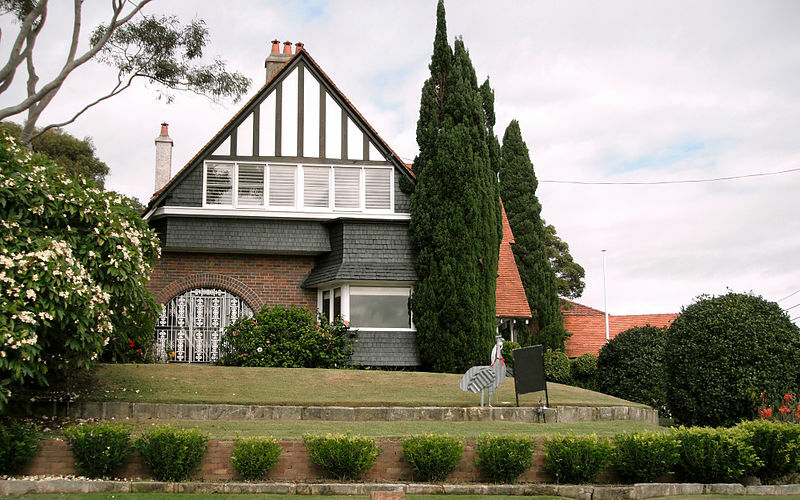 The Rectory was first occupied in May 1908 by Rev William Greenwood and family. 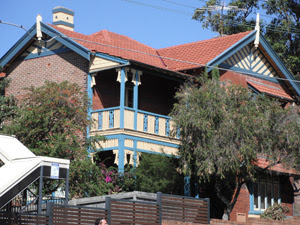 This Rectory is indicative of the prosperity and strength of the parish of Coogee in the building program which followed the fire at St Nicolas’s in August 1905. 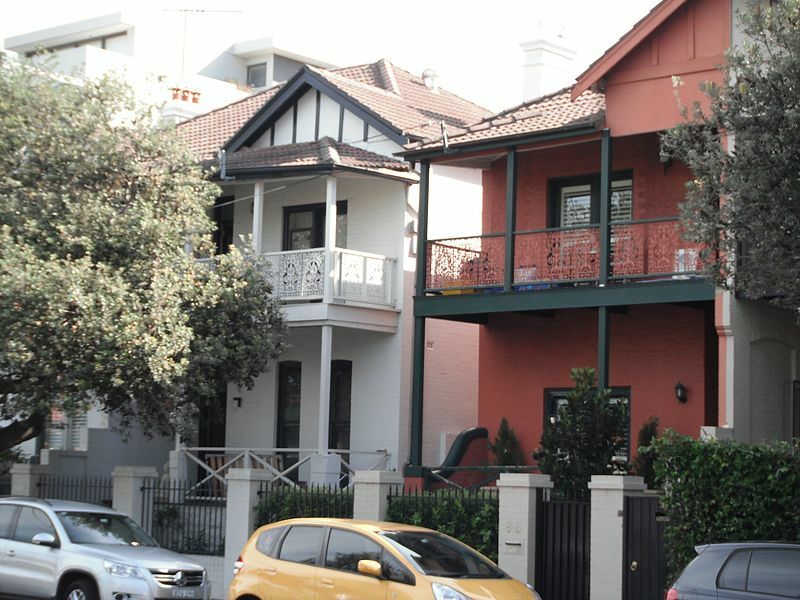 Row of handsome Federation semi-detached two-storey beach frontage houses, with some renovated unsympathetically. 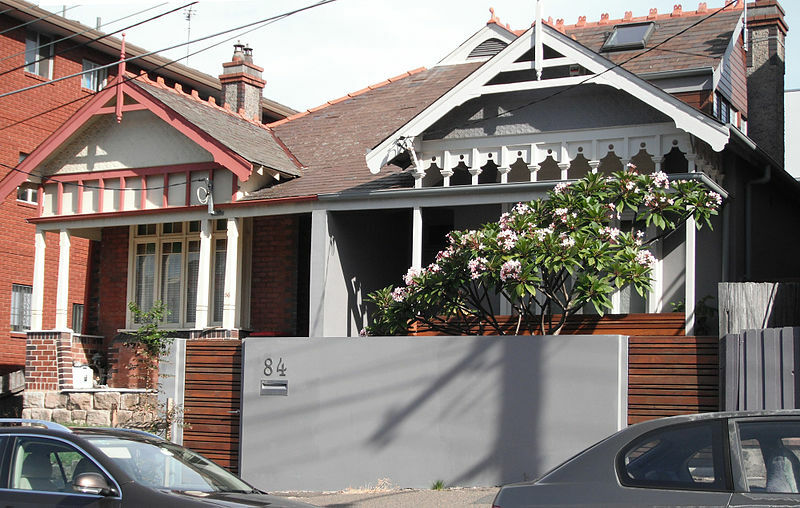 Most have verandah friezes in Queen Anne, or Art Nouveau style. One of these is believed to have been owned by the Mel Gibson family. Grand Federation style corner house, c. 1915 “VERONA” – Rare federation excellence in sensational surroundings “Gracious ‘Verona’ c1913 makes an instant impression with its grand proportions, on over 620sqm of glorious landscaped grounds, this superb residence is a showcase of traditional Federation appeal and stylish modern finishes and is one of Coogee’s landmark homes with an elevated street setting within a short stroll to the beach, many parklands and beachside cafes.” Sold price: $2,270,000 on Aug 2009. The conservation area includes fine quality groupings and individual examples of large Federation and Inter-War period detached houses. 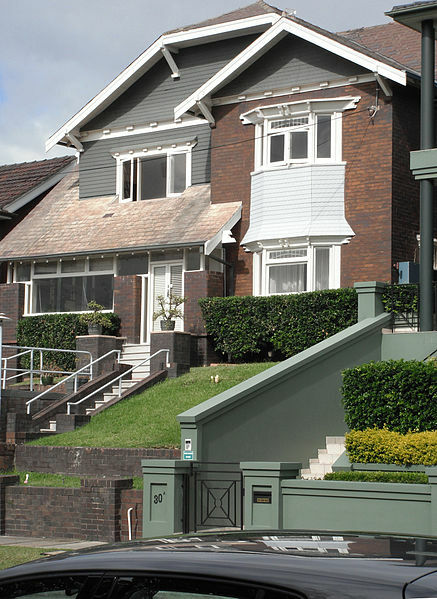 Several styles are represented, including Federation Bungalow and Queen Anne and Inter-War Mediterranean andFunctionalist. arched porch entry with its own gablet. 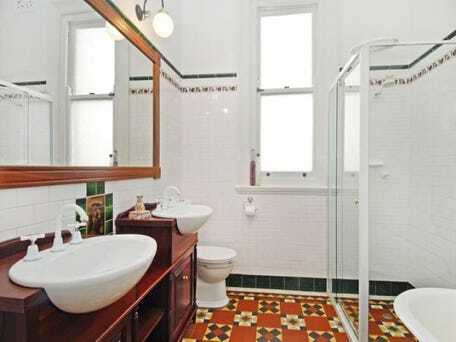 Find detailing throughout, especially original tiles on front steps. 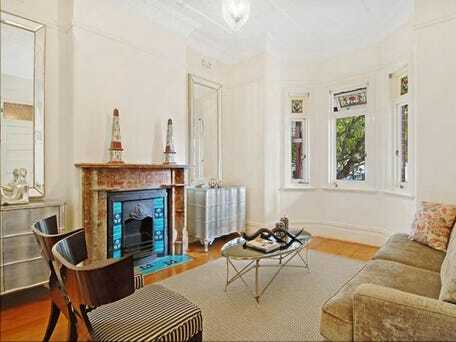 24 Dudley Street Coogee NSW. 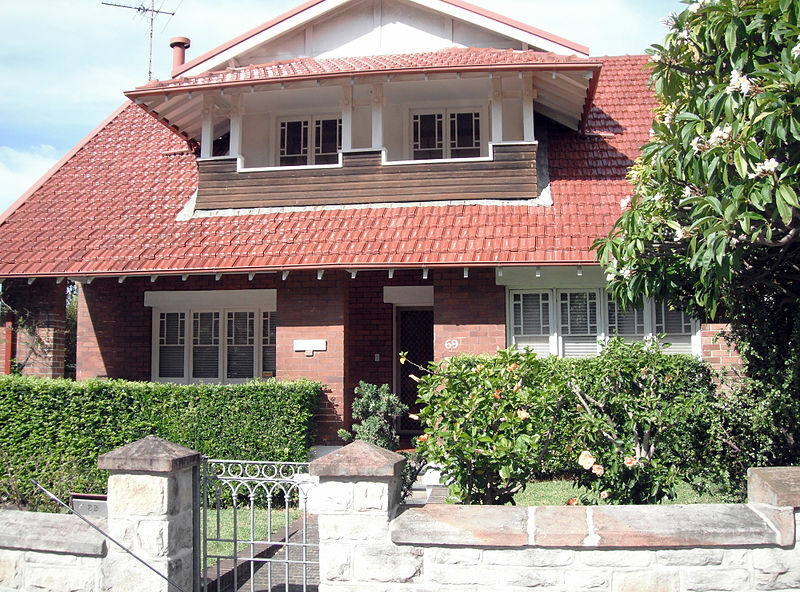 Fully reconstructed Federation style house, c. 1920. Symmetrical design.Complex roof features central gambrel and gables on sides above rectangular bays.Further gablet over center of verandah. Arched recessed entry to main door. Triple casement windows in bays on each side with skylights. 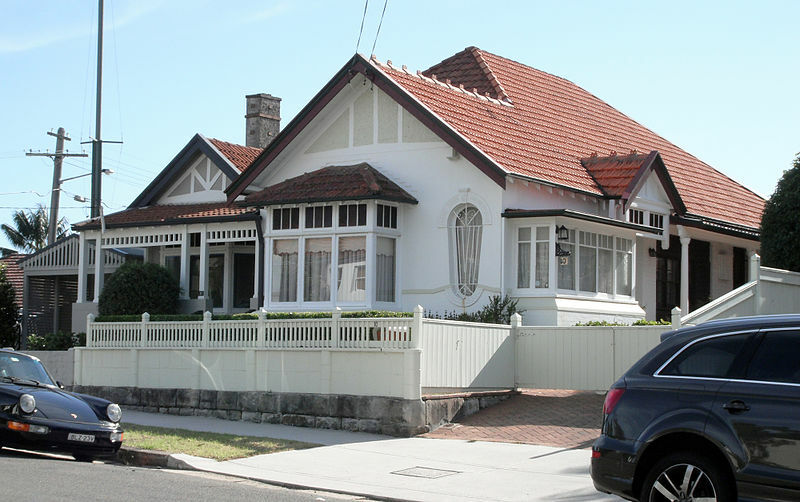 Outstanding detailing includes magnificent tiling on gables (very unusual), pressed metal on verandah gablet, simple timber decoration to verandah, leadlight, tiling on path and verandah, stone capping and excellent front fence. Reconstruction is authentic and very carefully detailed. Almost intact Late Victorian house, c. 1890. Corner design.Traditional L-shape gable. 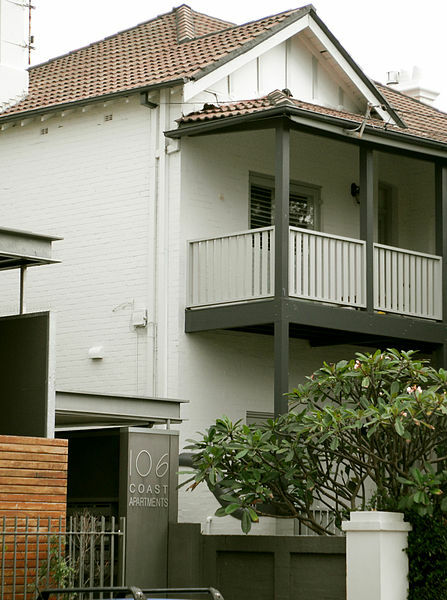 Verandah on both frontages. 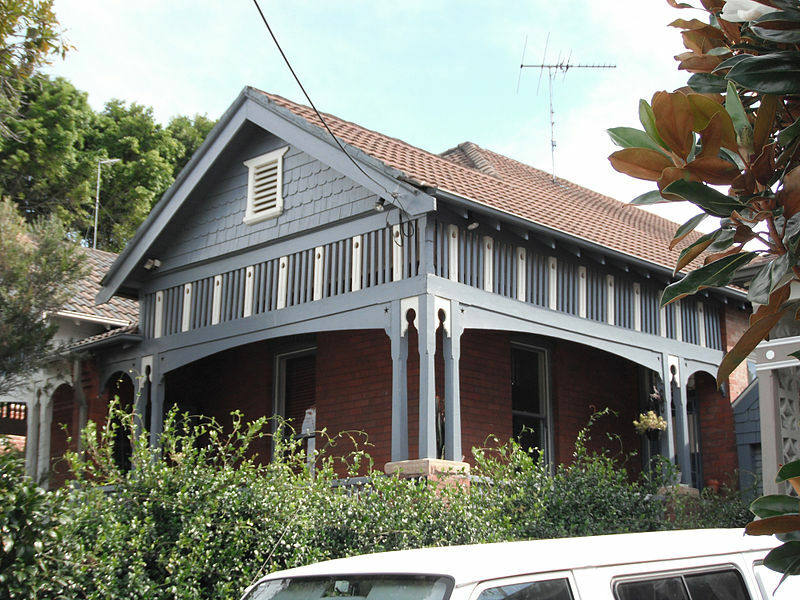 Steep pitched slate roof with bullnosed corrugated iron verandah. 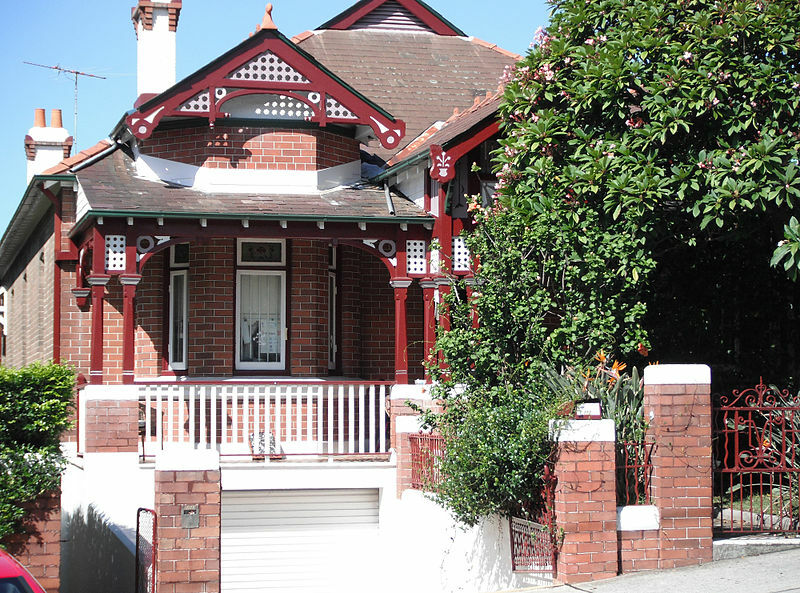 Outstanding detail includes terra cotta ridge capping, cast iron verandah posts with lace brackets and fringes, mouldings on bay, timber decoration and pressed metal on gables (both frontages) original tiling on path and verandah, and Art Nouveau leadlight glazing. Palisade fence is also outstanding with solid gate posts. 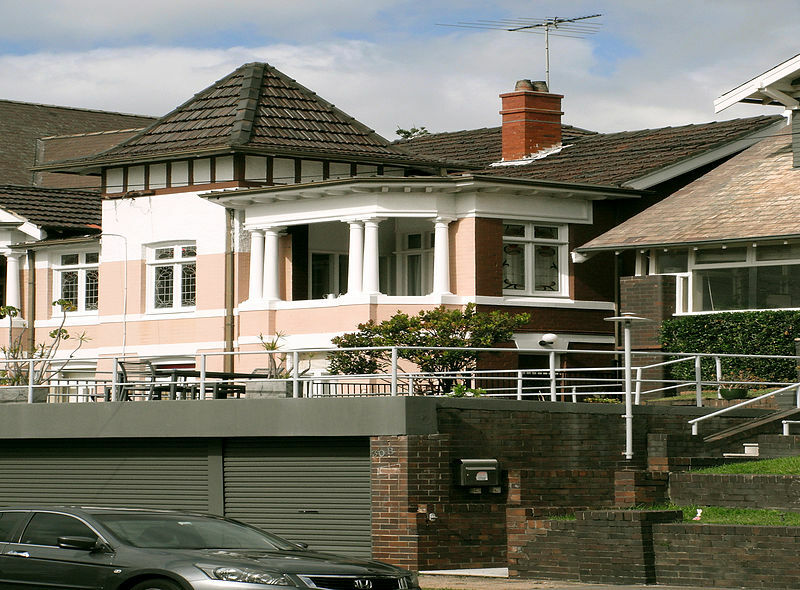 “CALVINIA” Outstanding two-storey Federation style house on elevated corner site. Very well maintained. Little altered except for reasonably sympathetic balcony enclosure. Complex plan and roof form. 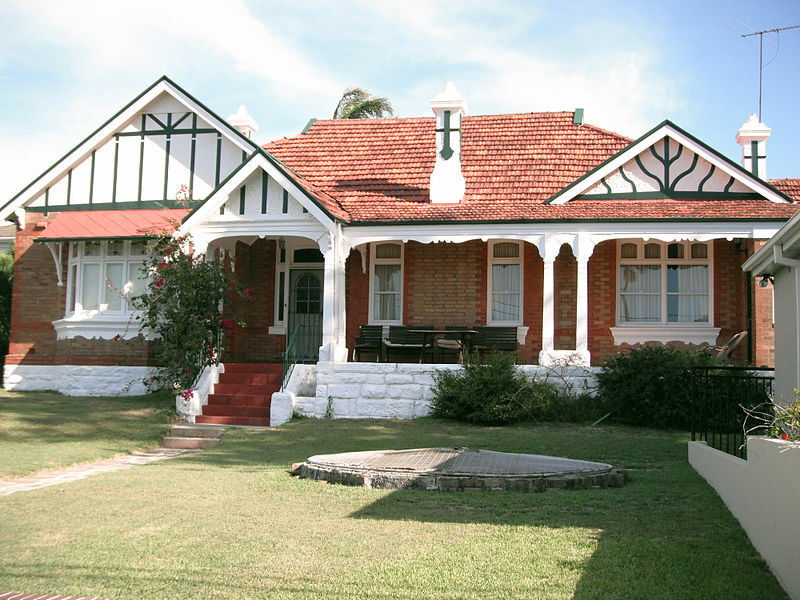 Verandah across front and around to Carrington Road side of special note are prominent gabled projections on front and side. Strong Arts and Crafts influence. 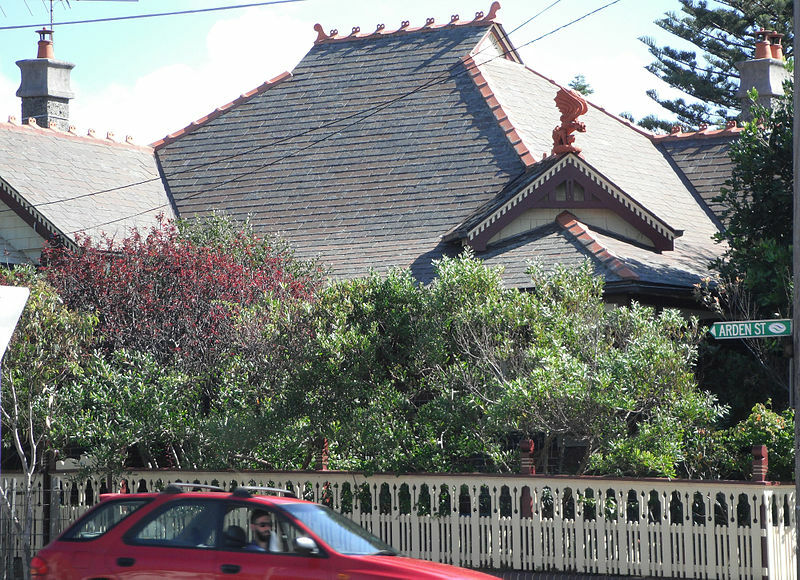 Main roof is slate with terra cotta tiled verandah. 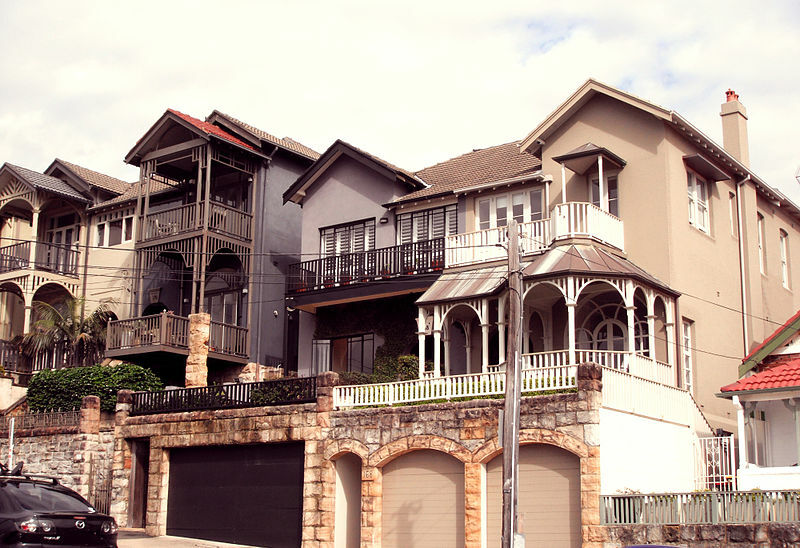 Decorative use of roughcast, stone, timber and shingling. 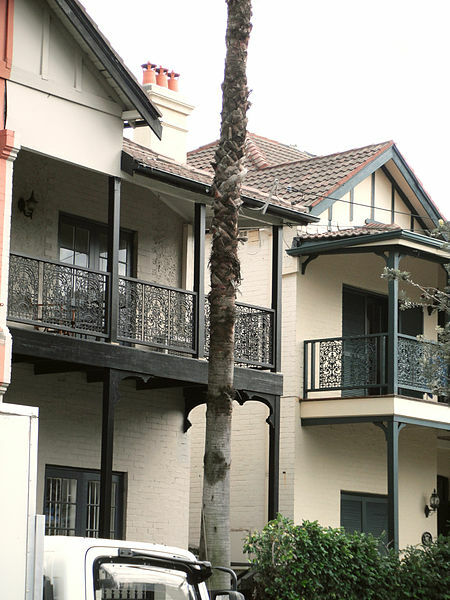 Verandah supported by slender classical columns on brick piers. Exposed rafter eaves. Decorative pediment on portico styled section of verandah. Contribution to streetscape at this key intersection is considerable.